The lights pop out and they are in the dark. And wow! What I thought was going to happen didn’t happen. Everything is topsy-turvy. It is a total gender swap. But how has life changed? And did they change? “Chivalry is dead,” when Amanda is told when she fails to hold a door open for a guy. – Women construction workers harass a guy. – Martha Washington was the 1st U.S. President. – Protecting a man’s right to a vasectomy is an issue. – “Woman up, and solve your s***t” Amanda is told when she tries to talk to her friend about the weird switch. Amanda, obviously, doesn’t want to change things back. Bret, obviously, is desperate to. This comedy is a lesson in contradictions. It is dark but light; adorable but a lot of raunchy language; and seems superficial but has heavy meaning, especially in this political climate. It really is a darling little movie with a really unique premise, that takes turn after unexpected turn. There is predictability in the stereotyping, but I have to agree with Bret that it seems exaggerated. That might be because I live in a big city. Perhaps small towns are more sexist than that. I’d like to think not. I would add that this exaggeration is necessary to highlight that society is sexist. 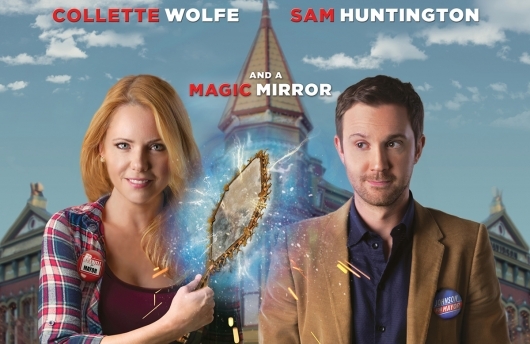 The music by Mateo Messina with original tunes by The Filthy Hypocrites provides a nice backdrop to this film, which cannot be classified as a rom-com, but does have that lighthearted feel. Huntington plays this character really well – a nice guy with a douche facade. We suspect from the beginning that he’s not as bad as he is supposed to be, because one, he has to complete this journey in an hour and a half, and two, Huntington just emotes this nice guy energy all the time. It works for this movie. I really think that given the right distribution, Second Nature has enough of what it takes to make a solid showing at the box office. One question – Can the sequel be Grandma’s mirror experience? Second Chance premieres at the Napa Valley Film Festival on Thursday, November 10th, with a bigger release planned for 2017. Check out our interview with director Michael Cross here. 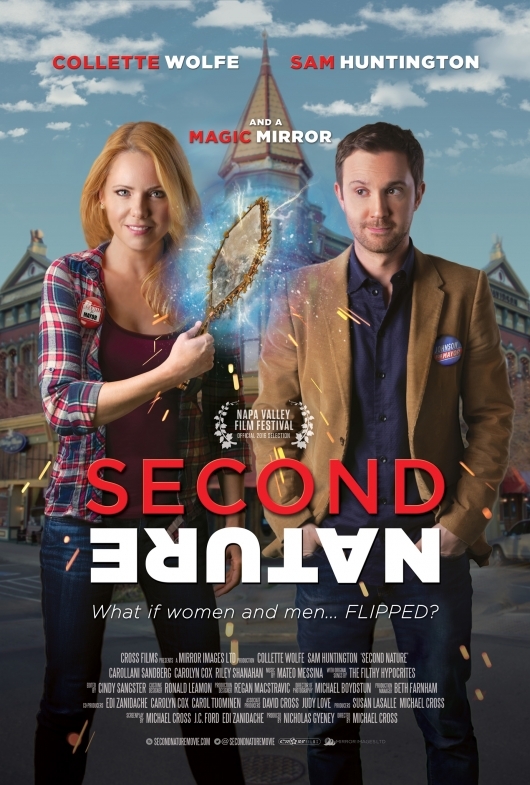 What if women and men… FLIPPED? Second Nature is Seattle filmmaker Michael Cross’ directing debut. Produced by Nicholas Gyeney under his Seattle-based production banner Mirror Images LTD (Beta Test, Matt’s Chance, The Penitent Man). It will have its world premiere at the Napa Valley Film Festival on Thursday, November 10, 2016. The film is expected to be released wide in 2017.